In this article, I would like to suggest a few spring framework online free and paid courses. These courses are available on Udemy with very less cost so you can check out once. I always prefer to purchase a Udemy course because the courses are very worthy and the cost is very less (around 10$). Before getting started, you can check out my complete Spring framework tutorial at Spring Framework 5 Tutorial - Master in Spring App Development. Here are the best online Spring framework courses you can join to learn Spring framework by yourself. In the past, I purchased this course and I got cleared many doubts in spring and hibernate integrations. 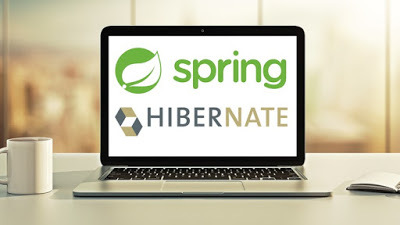 I recommend this course those who want to learn Spring along with Hibernate for beginners. You will Learn Spring Framework the MODERN WAY - The way Real Projects use it! Configure Spring Security to authenticate against a database. Secure a web application with Spring Security. Configure scheduled tasks in Spring. Learn advanced Configuration of Spring, by removing Spring Boot from the project and manually providing all the objects configured by Spring Boot. This course covering the fundamentals of using Spring for building Java applications.